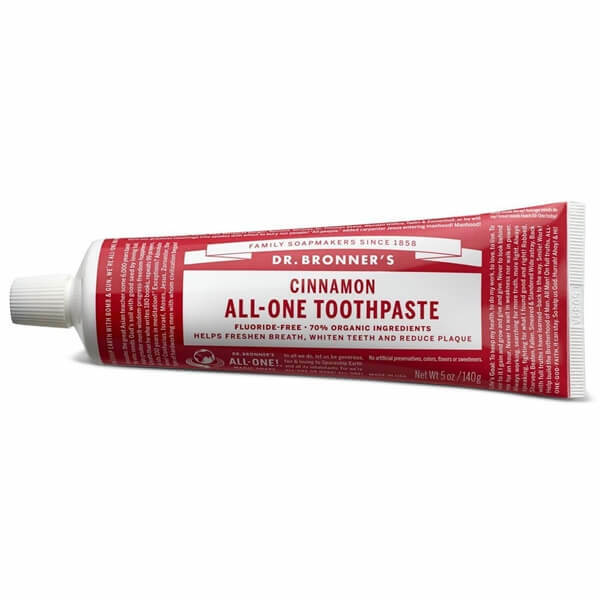 Dr Bronner's All-One Toothpaste - Cinnamon is a natural, cinnamon flavoured toothpaste made with 70% organic ingredients! 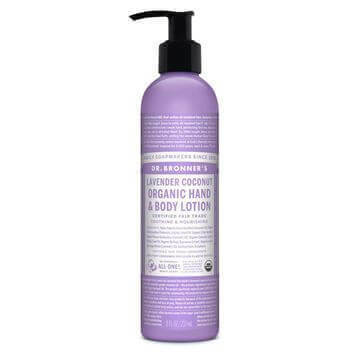 The low-foaming formula has no synthetic detergent foaming agents, is fluoride-free, vegan and cruelty-free, with no artificial colors, flavors, preservatives, or sweeteners – none! This simple yet effective toothpaste stimulates mouth, teeth, gums and tongue, leaving them fresh and clean. 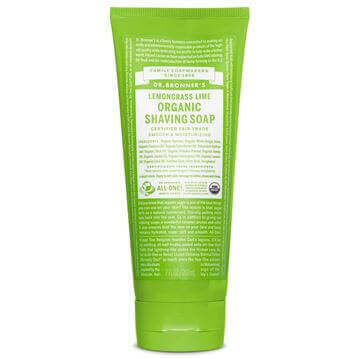 Made in a 100% recyclable box and tube.